Cool and creamy, this Creamy Roasted Hatch Chile Dip is filled with the fresh flavors of lime juice and cilantro with a bit of heat from roasted hatch chiles! Just toss all of the ingredients into a blender, blend, and serve! Hatch chiles are back, and our grocery stores are overflowing with them. 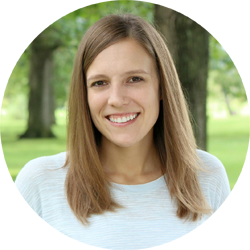 Because they are everywhere and usually pretty cheap, it is easy to take advantage of their short season. 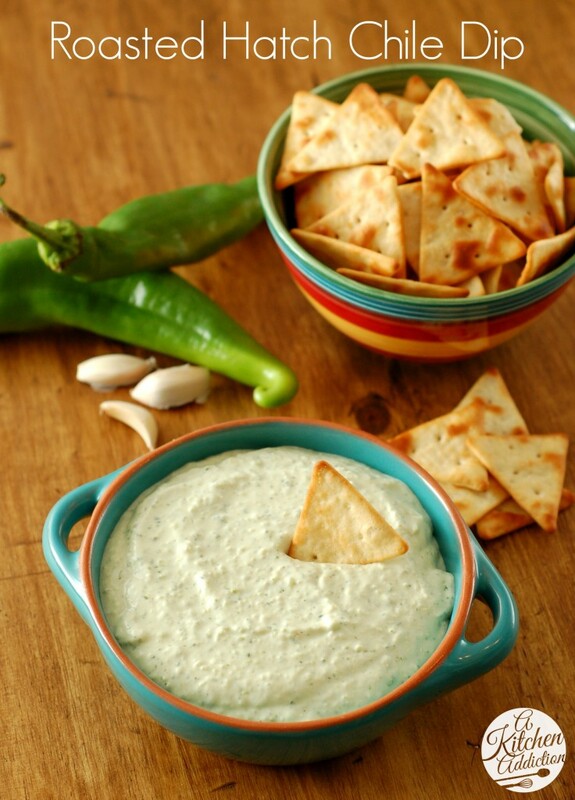 One of our favorite ways to enjoy hatch chiles is to roast them and add them to dips and sauces. 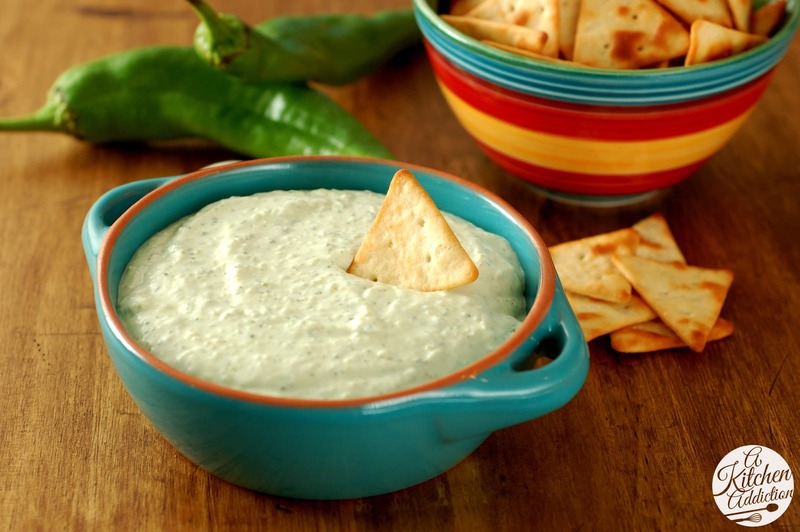 That is exactly what I did for this roasted hatch chile dip. 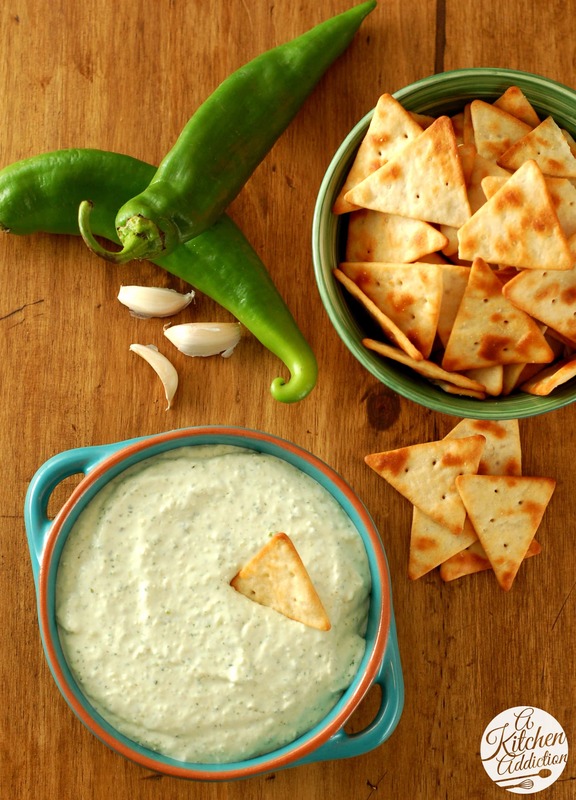 The chiles are roasted, skinned, and blended into this cool, creamy dip. The heat of the chiles is offset by the tangy sour cream and lime juice. Cilantro gives this dip a fresh summery flavor, and salt and pepper are added to bring out the flavor of all ingredients. It really couldn’t be any easier to make. Just throw all of the ingredients into a food processor or blender and mix until combined. Transfer the dip to a bowl and enjoy! That’s it. Perfect for serving to last minute guests or preparing during a commercial break of a football game! Place all ingredients in food processor or blender and pulse until smooth. Add more salt and pepper to taste as needed. Serve with your favorite baked pita chips. Is is my kind of dip!! LOVE it! I was just given a ton of these! I may just make this dip! Yum! I’ve never seen hatch chillis before, I wonder if our grocery stores carry them. I’ll have to keep an eye out because I love dip like nobody’s business. Especially when it’s got a little kick to it! Definitely bookmarking this one! My fiance went out to New Mexico on business earlier this year and promptly fell in love with all things chile and Southwest (in fact, I posted a recipe today for chili with green chiles!). I looooove chips-and-dip, so I have a feeling this will be coming into rotation very soon! So many amazing hatch chile recipes lately. I can almost taste this one! This is perfect for football season kickoff!! Go Hokies! I never heard of Hatch chiles! This is perfect for the upcoming tailgating season! YUM! I’ve never eaten a hatch chile. It seems they are everywhere right now. Love all the recipes I’ve been seeing. This dip sounds wonderful! I think I need to give hatch chiles a try and this seems like a fine place to start. Yum! I need to get out and grab some soon. This dip sounds amazing. I have tons of friends coming over this weekend and this would be perfect to share. This looks amazing! It’s now on my menu list for football watching this fall! I’ve never had a hatch chile, but I love roasted peppers and dips, so this is making me super hungry! Oooh, this sounds so good! I’m pinning… I haven’t heard of “Hatch” chiles before, but they look a lot like banana peppers. Same thing? I could just live the rest of my life eating only dip! This chile dip looks awesome! I bet it’s really flavorful an delicious. This looks like my kind of dip–yum! This is great. I had to make a few substitutions, based on what I had. I substituted plain Greek yogurt for the sour cream, and 5 wedges of light Swiss Laughing Cow cheese for the cream cheese. Other than that, I used hatch chiles that I roasted/peeled myself. OMG this dip is freakin’ awesome. I’m totally making it during football (or any) get togethers. I found it on Pinterest, and it’s definitely a keeper. Thanks so much! The dip was yummy but felt the cilantro overpowered the taste of the peppers. I added three more into the two in the recipe with a tad more lime juice and it was perfect for me! Made this tonight with some hatch green chile we got over Christmas from the in laws! I love it! Thanks for the recipe!